Should Citizens Have a Right to Rebel? In a fifth of the world's nations, people are legally allowed to resist leaders who have overstepped their bounds. For years, during the slowly escalating crisis of protests and political polarization that eventually precipitated Thailand’s recent coup, leaders of ousted Prime Minister Yingluck Shinawatra’s ruling party warned against elite plots to subvert the democratic process—an outcome for which the “right to resist” served as a shield. Meanwhile, opponents of Thailand’s former government also invoked the provision, arguing that the real interruption of the constitutional order occurred with the hijacking of national institutions by a harsh and subversive majoritarian populism—one machinated from afar by the exiled billionaire Thaksin Shinawatra and his allies. Thailand is not alone. In a study I co-authored with Tom Ginsburg of the University of Chicago and Emiliana Versteeg of the University of Virginia, we scoured the world’s constitutions looking for similar rights to resist. At present, 37 countries, representing roughly 20 percent of all nations, have such rights. The percentage is growing, having more than doubled since 1980. For Americans, who are often by nature suspicious of government, this right may not sound like a bad idea. Granted, there is something paradoxical in the idea of a constitutional provision empowering individuals to resist, or in some cases openly rebel, against the very same authorities and institutions so meticulously established elsewhere in the same document. Nevertheless, it makes sense that the final say on matters of governance should lie with the people, and that such a clause might well serve as a valuable insurance policy in the future. Still, these clauses may tell us more about a country’s past than about its future. Sometimes, countries introduce the right to resist into constitutions following a crisis in which people followed the orders of national authorities, to tragic effect. Rwanda’s first post-genocide constitution, for instance, grants each citizen “the right to defy orders received from his or her superior authority if the orders constitute a serious and manifest violation of human rights and public freedoms.” Similarly, the West Germans adopted a right to resist—a provision that survived unification and remains in Germany’s constitution to this day. Quite often, the right appears in constitutions written in the immediate aftermath of a military revolt or popular revolution. Such “founding” texts frequently include language meant to justify the overthrow of the old order as well as provide a blueprint for the new. Our Founding Fathers, with their fondness for the idea of natural rights, might have embraced something similar in the United States had the Declaration of Independence not been separated by more than a decade from the drafting of the Constitution. After all, our French compatriots included a “right to resist oppression” in their 1789 Declaration of the Rights of Man and of the Citizen, which later became the preamble to the post-revolutionary Constitution of 1793 (and has remained in force over many of France’s 14 subsequent constitutions, including its current one). Similar provisions were included by the drafters of nearly a dozen U.S. state constitutions, from fiercely independent lands like New Hampshire and Texas, to more traditionally supine states like Maryland. The absence of an explicit right to resist in the U.S. Constitution hasn’t stopped Americans from finding creative ways to identify one. During the Whiskey Rebellion, which pitted Pennsylvania farmers against the nascent federal authorities, the rebels invoked just such a right. 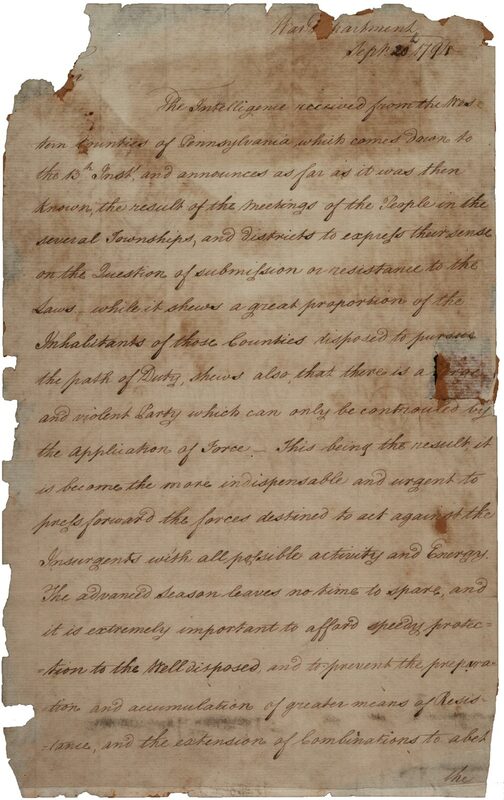 Later, at the outset of the Civil War, some Confederate leaders argued that the Declaration of Independence had conferred a constitutional right to rebel. Since then, anti-government movements have claimed that such a right is implicit in the Second Amendment, or, failing that, the Fourth. The courts have proven reluctant to uphold such arguments, however, preferring that individuals resist their government through more conventional legal channels. While Thailand’s erstwhile right to resist allowed only for “peaceful resistance,” other countries like Benin, Ghana, and Cape Verde have gone further: they explicitly authorize the use of force or even upgrade the “right” to a “duty” or “obligation.” Honduras’s constitutional “right of insurrection” has spanned (and likely spawned) several constitutional rewrites since its debut in 1957. When the Honduran congress, backed by the country’s armed forces, removed President Manuel Zelaya from power in 2009, the right was cited as a justification for his ouster. Yet when Zelaya himself sought to harness it to stage a comeback, the requisite mobs failed to materialize. As was the case in Thailand, these provisions often destabilize politics by legitimizing individuals and groups seeking to undermine the status quo. Several of today’s trouble spots, including Mali, Turkey, and Venezuela, have constitutional rights to resist. In many ways, the regimes in these countries couldn’t be more different. But they also share something else: disputed legitimacy at the time of their ascension. Step 1: A government with questionable democratic credentials takes administrative control following a coup or revolution, or else is democratically elected after previously failing to seize power through one of the above. Soon afterward, these rulers consolidate their power by drafting a new constitution—one which includes a “right to resist,” ostensibly meant to serve as ex-post-facto validation of their past attempts to overthrow their predecessors. Step 2: In Faustian fashion, the proviso becomes a thorn in the side of the administrations that govern under the new constitution, as agitators and enemies wield it to foment instability. When that instability grows great enough, it produces a crisis that topples the very system it was supposed to be legitimizing. And yet, the provision—or one like it—often sticks around in the next constitutional revision, since taking it out might signal weakness or fear on the part of the country’s new rulers. Historical examples of such situations are myriad, but here are a couple salient ones. Cuba is suffering from a cruel and base despotism. You are well aware that resistance to despots is legitimate. This is a universally recognized principle and our own Constitution of 1940 expressly makes it a sacred right, in the second paragraph of Article 40. Rights to resist are usually predicated on certain conditions (an interruption of the constitutional order, an illegitimate seizure of power, the violation of individual rights, etc.). Yet such triggers are by nature highly subjective. In Castro’s case, the right only existed if the government was violating the constitutional rights of its citizens. Castro was effectively putting the government itself on trial. The youthful revolucionario was still found guilty, but a split verdict secured him a mild sentence, and his defense speech helped turn him into an international star. Several years later, after seizing power in Havana, Castro ruled without a constitution for nearly two decades, eventually adopting one that, with characteristic chutzpah, didn’t include a right to resist. Decades later, Hugo Chávez, a protege of Castro’s, failed to learn this particular lesson. After being elected president of Venezuela in a 1998 landslide, Chávez summoned a constituent assembly to draft a new constitution. This document gave Venezuelans a constitutional right to “disown any regime, legislation or authority that violates democratic values, principles and guarantees or encroaches upon human rights”—what Chávez claimed to have been doing when he unsuccessfully attempted a coup against the elected Venezuelan president six years earlier. Briefly unseated in the coup that followed, Chávez managed to recover and hold on to power until his death in 2013. And yet Article 350 remained a problem for his administration and that of his heirs, most recently during the massive protests that have paralyzed major Venezuelan cities this year. These days, it is common to see placards emblazoned unapologetically with Chávez’s troublesome constitutional provision. One could argue that the Venezuelan people are better off if a right to resist helps them destabilize the likes of Chávez. And it is likewise possible that since unstable countries tend to write more constitutions than stable ones do—Thailand had 19, Venezuela 26—troubled nations simply have more opportunities to adopt the clause. But the fact remains that constitutions are nearly always written with an eye toward ensuring the survival of the system being created—and the constitutional right to resist can undermine that goal and generate greater political instability. If politics is the “art of the possible,” a constitution is its canvas—with set parameters limiting the scope of those possibilities. Right-to-resist provisions explode these constraints, potentially providing carte blanche to those who might someday seek to upend the system, and leaving those in power with a constitutional Clause of Damocles hanging over their heads.